Contact Nadia for session rate. I am a BACP Counsellor, Clinical Hypnotherapist, Life & Executive Coach and EMDR Therapist, I am fully CRB checked and fully insured. I am a Registered Member of the BACP, a Fellow of ILM (FInsLM), a registered member of CNHC and a member of the EMDR Association (which is the approved method of treatment for the management of Trauma by NICE). I have 10 years expertise and experience. My Clinic is Billericay, Essex, where there is ample free parking. I also have a clinic in Marbella in Spain for further details, please enquire. I offer CBT, Transactional Analysis Therapy, Solution Focused Therapy, Short Term and Long-Term Therapy, Talk Therapy, Grief & Loss /Bereavement Therapy, Couple Therapy (Marriage Counselling), Family Therapy, Children and Adolescent and Adult Therapy. My specialism is Anxiety and Depression. 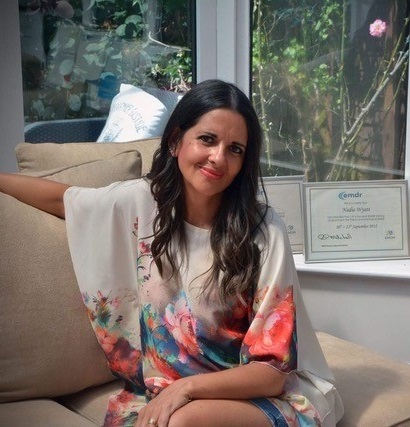 The main reasons I have chosen this is as my specialism is because I myself suffered with Severe Anxiety and Severe Depression because of my young daughter's diagnosis with cancer. I had never suffered with Depression and/or Anxiety to that level previously. So I've been down that horrendous road and therefore now I specialise in this area having achieved excellent results helping clients. I also specialise in Couple Therapy and Family Therapy helping families specifically avoid the awfulness my family and I had to endure. I work with Adults, Adolescents and Children of all ages and all ethnicities. I also work with Children and Adults with ADHD.